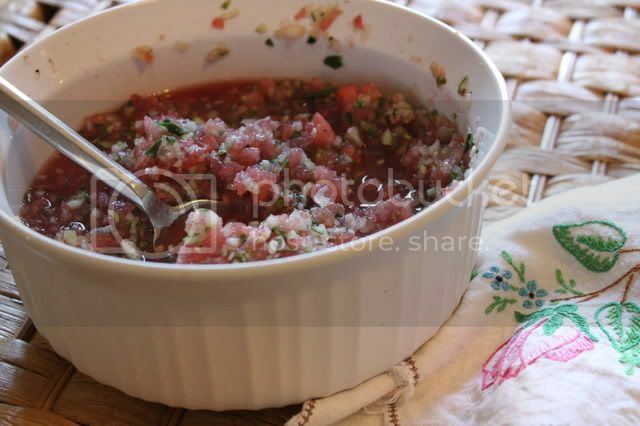 I've been making batches of watermelon salsa nonstop; a fine dice of watermelon, cucumber and red onion sprinkled with S&P and you've got a very refreshing summer side. 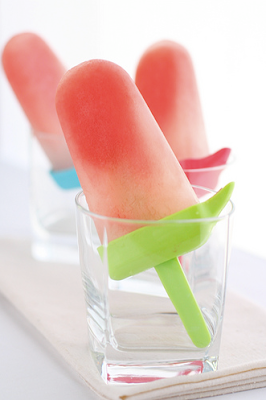 These spiked watermelon popscicles would have been perfect for the 4th of July, but I'm sure I can find another excuse to make them this summer! I've been making many versions of this salad with amazing results- so refreshing. If I had a little girl to dress, this children's classic would be a summer staple- how cute! 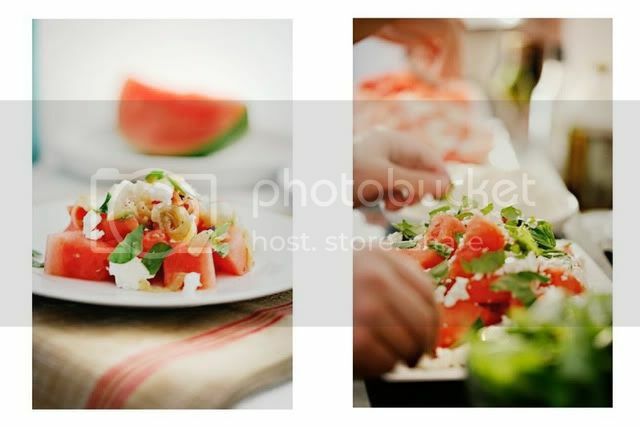 And doesn't this watermelon hued setting look like the perfect place to enjoy a summer meal? 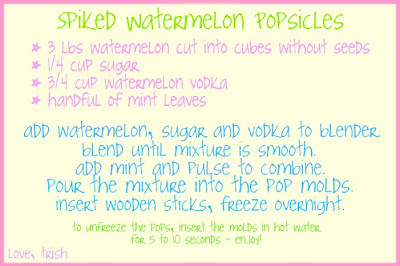 What is your favorite way to use watermelons? I love watermelons! My husband thinks I am weird because I will eat them with a little salt... so good! It has been a staple at the cabin all summer long! Now I am off to give that salsa a shot. Thanks so much! I love watermelons! so glad to have some new recipes to try! That watermelon salsa looks delicious. We've been eating watermelon like mad over here. Your salsa looks to die for...although I'd really move things for a couple of those vodka popsicles! Yum! I love watermelon! That salsa looks amazing and I would love one of those popsicles right now. My favorite way to eat watermelon, though, is a big wedge sprinkled with salt.